I haven't been listening to as much ambient as I used to(been listening to more "normal" music). I was starting to wonder whether I'd lost my taste for it. The along come two great ambient albums, Forrest Fang - Animism & Taylor Duepree - Faint, to make me remember what I love about the genre. Just awesome, melodic doom metal! Many thanks, Dave. Glad you liked it! Mazmoneth-Music by Mirrors. DiN label release from late 2011. Modern, melodic electronica with very cool retro sound. Mazmoneth is Nigel Mullaney & Ray Sherwin. Haven't played this almost all year and wow, this is a really great DiN release. Robert Fripp-Love Cannot Bear. The last track on this is one of my top five all-time Fripp soundscapes. Busso de la Lune-Stream Come In. On Umbra label (still available from Oophoi via Discogs). Thanks for reminding me Judd! Redshift-Toll, Colder. A couple excellent live albums from the mighty Mark Shreeve and band (w/Ian Boddy seemingly a permanent member now). A great way to give your subwoofers a good workout. A superb release and highly recommended! Sanjiva--Tales from the land of Osho. I've been a fan since the late 90's, thanks to Lloyd/Backroads. This was his last cd release, which I only found recently on Discogs. The earlier music was ambient trance. This one is more new age with flutes, nature sounds, and minimal synths, apparently influenced by Deuter. Nothing great, but pleasant, relaxing chill out. Led Zeppelin-Celebration Day 2CD. I wasn't going to buy this, but man am I glad I did. Great recording of this 2007 one-off concert, in fact probably the best live Led Zep disc in terms of sound quality, and some absolutely scorching live versions here. The Raveonettes-Into the Night e.p. Danish dreampop band, really love this band. Steve Roach/Roger King-Dust to Dust. My fave track is still "The Ribbon Rails of Promise", but the whole thing is excellent. Ambient western music; RIYL if you like this also check out Slim Westerns by A Small Good Thing, early 90's side project of O Yuki Conjugate. Shrine-Somnia (Cyclic Law). Dreamy dark ambient with lots of water sounds and an underwater feel. Very much appreciated the Scriabin Prelude. - Between :: Deupree/Fischer/Date/Fuller/Scott on 12K. Just 38 minutes, but a delicate little minimal gem. I really love to listen to Dust to Dust while watching a spaghetti western such as Fistful of Dollars or one of the others. Good times. Totally his most underrated record, I listened to it while driving across alberta this summer, it was the perfect companion to the wide open spaces I was admiring through the car windows. Electro Harmonix (Tetsu Inoue/Jonah Sharp). 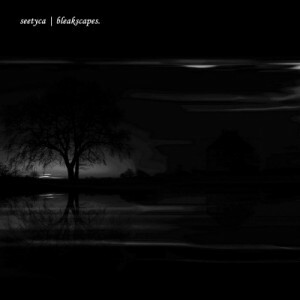 CD reissue on Ambient World, an ambient classic. I had to pay a lot for this disc as it's near impossible to find right now due to the sudden passing of Pete Namlook and the Fax label coming to a halt, perhaps (most likely) indefinitely(?) Still no further news from the family or anything posted at all on the Fax website (www.namlook.de). Oops, I forgot about Cue Records! Thanks. Yeah, I could've saved myself about $15 on that Electro Harmonix. Oh well, it's only money!